Seattle- Tacoma International Airport (SEA) has two Delta Sky Clubs where you can enjoy local cuisine, select complimentary drinks, a spa, and shower. The Delta Sky Club in Concourse A is larger and has longer hours than the one near Gates S.
The larger Delta Sky Club in Concourse A is located near Gate 1. The smaller Delta Sky Club in the Gate S area is located on the second floor near Gates S-9 and S-10. Complimentary access to the Delta Sky Club is available for Amex Platinum cardholders that are traveling on a same-day Delta flight. Platinum cardholders may enter the club with up to two guests for an additional fee. SkyTeam Elite Plus (Delta Diamond, Platinum, or Gold Medallion members) traveling in any cabin with a same-day international flight may access the lounge. The Delta Sky Club in Concourse A has two stories and an amazing view. The lounge area is thoughtfully designed with power outlets available near almost every seat. Complimentary food and drinks are available in the self-serve buffet area. Food features local fare like clam chowder, pasta bolognese, and coconut curry lentil soup. Cold food selection includes salad creations and crudites. Coffee, tea, soda, and select alcoholic drinks are complimentary. 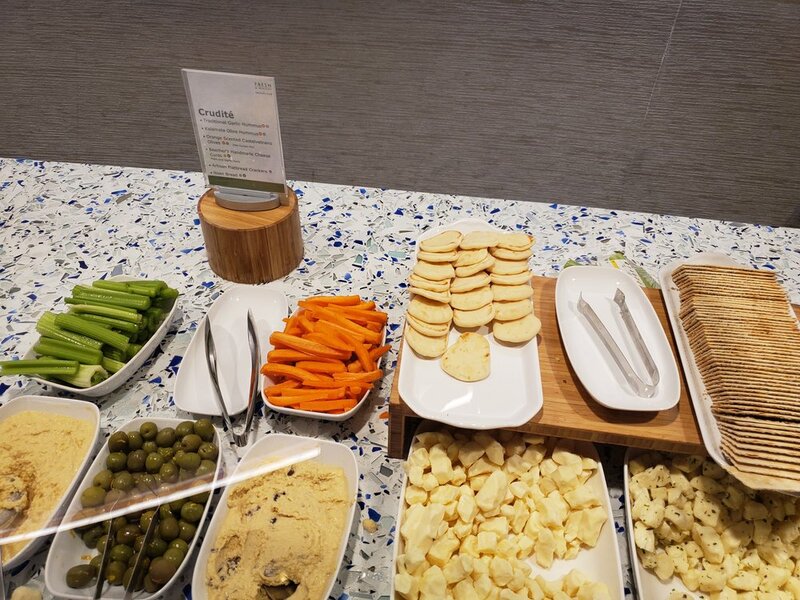 Overall, the Delta Sky Club in Concourse A is spacious and a great place to grab a bite and relax before your flight.